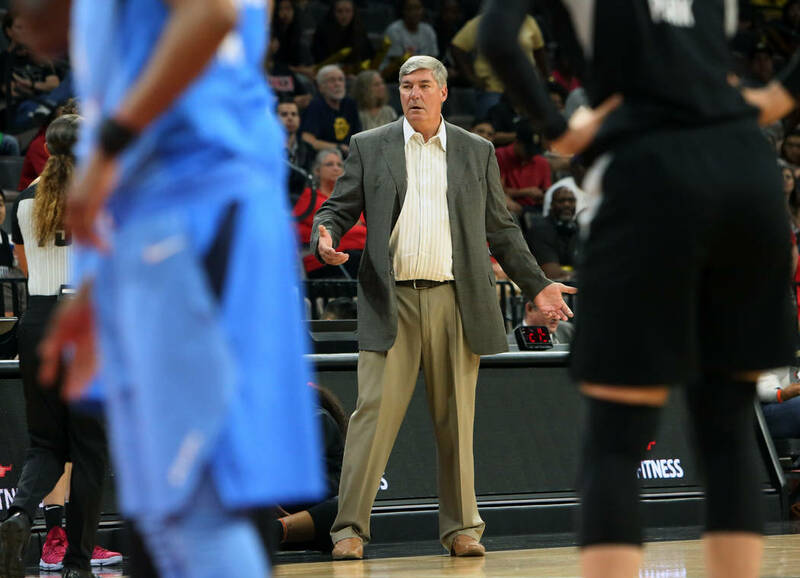 WHITE PLAINS, N.Y. — With a personality as imposing as his size, Bill Laimbeer, the player and the coach, always has impacted people in a polarizing way. You either love him or cross the street when he comes your way. For instance, in all his years as an WNBA coach, his entrance at the Mohegan Sun Arena in Connecticut has been greeted with the theme music composed for Darth Vader. Dark and ominous. And Laimbeer loves it, his smile growing wider with each stride. On Wednesday, in a much different place, he had another chance to gauge his popularity when he returned to New York with his Aces after five productive years as coach of the New York Liberty. When Laimbeer was introduced, he was greeted with pleasant applause from the small crowd. And then the Aces gave him the ultimate high five by blasting the Liberty 78-63. The Aces (3-7) have suddenly won twice on the road in two nights. Dearica Hamby led the Aces with 17 points and Kayla McBride added 16, the two combining to shoot 14 of 23 from the field. “We showed it can be done,” said A’ja Wilson, who scored 13. Tina Charles led the Liberty (3-5) with 19 points but scored only two in the second half. Laimbeer is right, After failing to sell the team, Liberty ownership moved the majority of its games from Madison Square Garden to the ancient Westchester Community Center, a night light in comparison to the glowing Garden. It didn’t take long for a portion of the crowd to turn against Laimbeer. By the end of the second quarter, some were signaling for a technical when he launched off the bench to contest a call. The Aces were coming off their first win on the road Tuesday in Indiana, with Wilson scoring 17 of her 35 points in the fourth quarter and overtime to lead the Aces to a 101-92 victory over the winless Fever. Laimbeer wasn’t overly concerned with the quick turnaround. And the Aces validated that by taking a 23-21 lead after the first period. They led 37-33 at halftime and 56-45 after three quarters. 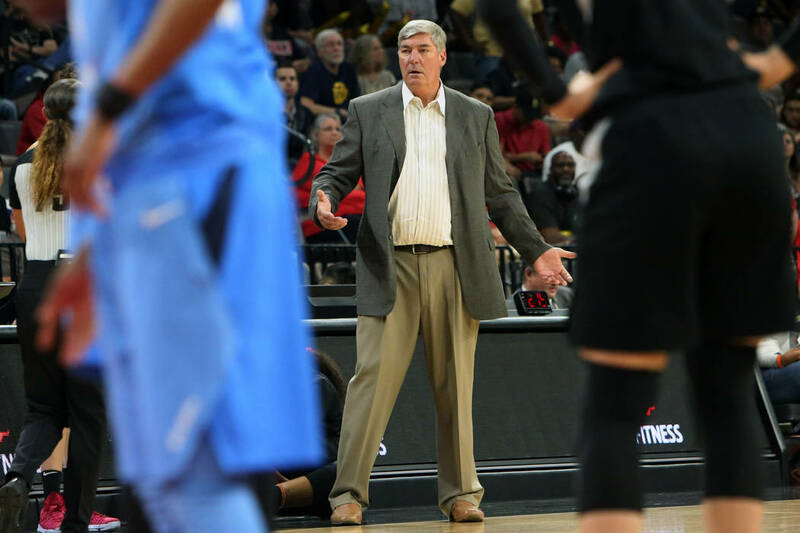 The Liberty is now coached by Katie Smith, who was promoted from Laimbeer’s staff. Smith was inducted into the Women’s Basketball Hall of Fame last weekend.